Join members of the North Central District for their Winter Social! The connections you make NOW in your professional career, will surprisingly help further you later on. 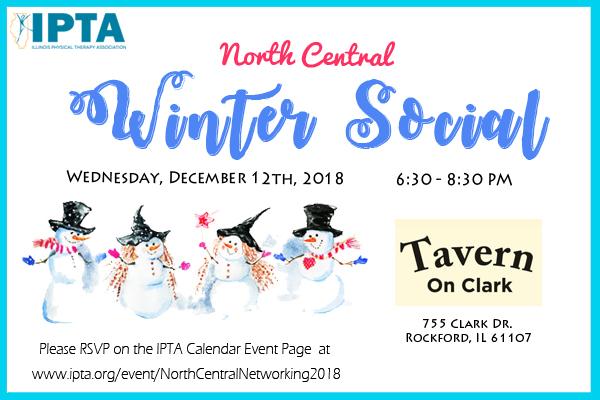 The North Central District invites you to gather with our friends of PT, coworkers, and classmates at Tavern on Clark for our winter social event! This event is open to members and nonmembers, share this page with coworkers, students, and friends! We look forward to seeing everyone there!